The Student Services Department is comprised of the Assistant Principal for Student Services, School Social Workers, School Psychologists, and the Speech Pathologist. Student Services staff offer support to students in relation to social-emotional, behavioral, personal, communication, and academic concerns. What is it? 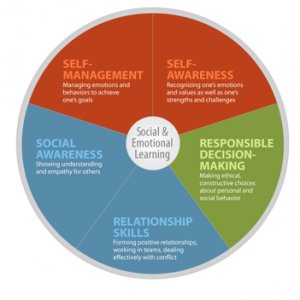 Social and emotional learning (SEL) is the process through which students acquire and effectively apply the knowledge, attitudes, and skills necessary to understand and manage emotions, set and achieve positive goals, feel and show empathy for others, establish and maintain positive relationships, and make responsible decisions.